Vienna, the capital of Austria, is a mix of old and new with Baroque-styled buildings to modern architecture. I visited Vienna by train from Prague in 2013 with my boyfriend. It was quite a comfortable train ride, roughly five hours, and a much better alternative than flying (we both hate flying yet we love to travel). Goat Cheese Wrapped in Bacon. Beef with Potatoes and Asparagus. Scallops and Sea Bass with Fried Asparagus. My boyfriend, Tommaso, had actually lived in Vienna for four years as a child because of his father’s work and all he would talk about was the original Sacher Torte from the Sacher Hotel. He says it is the best Sacher Torte in the world and that no other version even comes close to it. So I had to see for myself right? Well, I have to admit…it really is as good as he said it would be (8.5-9/10). We tried other versions of the cake but nothing even came close to the Sacher Torte from the Sacher Hotel. The cake has the right balance of sweetness (it’s not overly sweet) with chocolate and a thin layer of high quality apricot jam in the middle. What makes this cake different and special though is the icing on top because of its firm yet soft texture that no other version can replicate. It is served with fresh whipped cream and I even ordered a hot chocolate to go along with it! 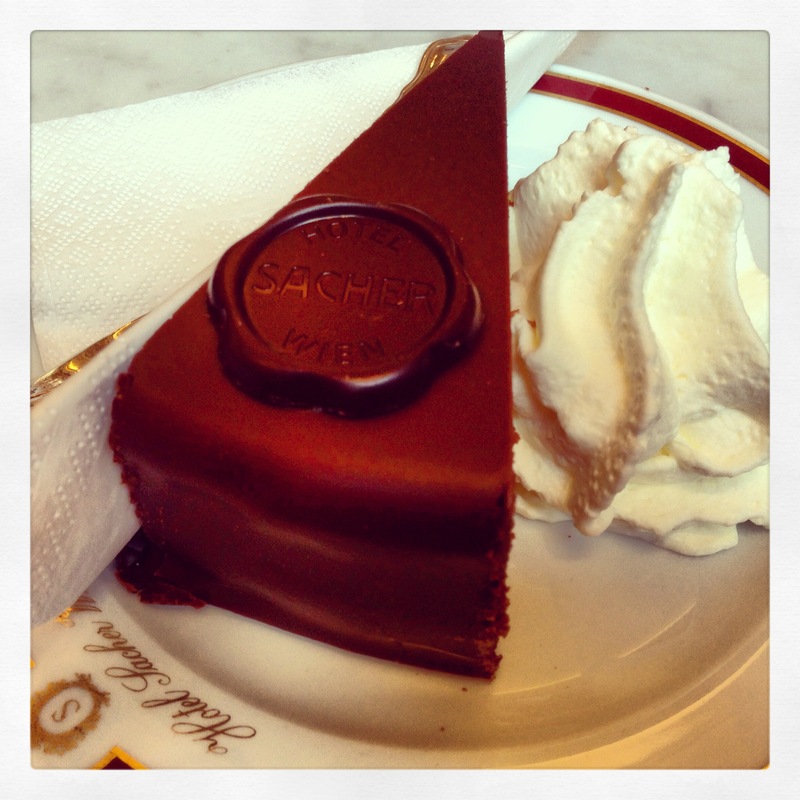 So, do you think the best Sacher Torte is from the Sacher Hotel in Vienna? Let me know!